A test that can identify potential cases of meningitis within an hour is to be trialled in hospitals. The new diagnostic tool for meningococcal disease, which can lead to meningitis and blood poisoning, takes a fraction of the 48-hour wait for results from standard tests. Scientists at Queen’s University Belfast and the Belfast Trust, who created the test, said it could prevent children with meningococcal disease being wrongly sent home — potentially saving dozens of lives every year. It could also prevent children being admitted for treatment unnecessarily. If doctors suspect a child has meningococcal septicaemia, they administer antibiotic treatment straight away, but a study found that of 105 babies and children treated, only a third had the disease. The new diagnostic test — known as Loop-Mediated Isothermal Amplification (Lamp) — has been assessed in a two-year study alongside the standard NHS tests and has been found to be equally efficient at returning accurate diagnosis. Dr James McKenna, clinical scientist and lead researcher in developing the test said: “The Lamp test enables doctors to efficiently diagnose meningococcal septicaemia within an hour. Dr Tom Waterfield, is leading a new study at Queen’s University with the Paediatric Emergency Research UK and Ireland to assess how practical the test is to use in hospitals. The findings come as health officials have urged students to get vaccinated to protect themselves against meningitis before starting university. 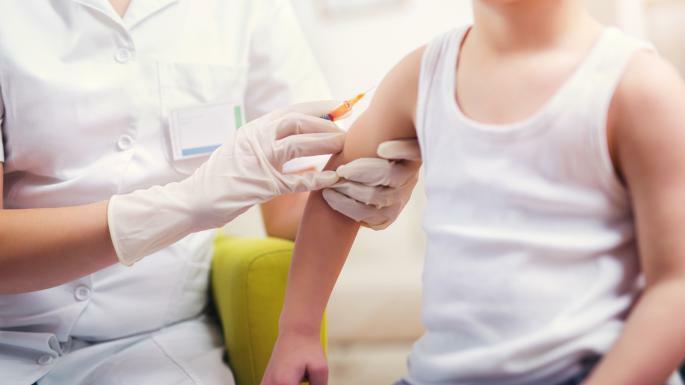 Last week Public Health England (PHE) warned that cases of meningitis and septicaemia caused by the aggressive meningococcal W strain were rising. Dr Mary Ramsay, head of immunisation at PHE, said: “Young people are particularly at risk from the MenW strain. Being in confined environments with close contact, such as university halls, pubs and clubs increases the chances of infection if unprotected.